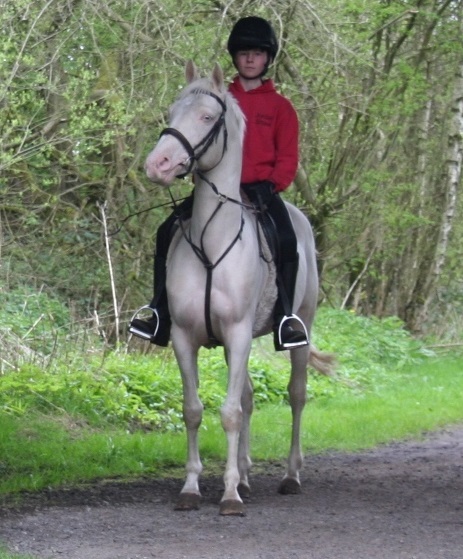 Bred from Champion bloodlines , Silver Sheikh exhibits excellent trainability, temperament and manners both under saddle and on the ground, his conformation is correct with a ground covering trot, he shows a great enthusiasm for jumping and is producing a nice shape over a fence, currently continuing his training, ridden and handled on a regular basis by a 14 year old. Availability by AI means that Sheikh can be used on larger mares, he produces 100% Palomino Foals to Chestnut Mares & High % Buckskin/Dun Foals to Bay Mares, why not add a little Colour and Arabian blood to your Native Breed or produce a show quality High % Arabian Palomino ? Silver Sheikhs’ Sire competed successfully in the Show ring and Endurance, his Dam a prize winner at National and County level, his Grand Sire Pioneerstud Golden Chieftain was 3 x National Overall Supreme and 3 x National Reserve Supreme Palomino Champion, a record that in 2016 remains unbeaten, his progeny are still competing and winning in the show ring today. 2yr old by PS Silver Sheikh ex TLC Sheer Delight. Sheikhs stock are already successfully competing in the show ring. 2019 Stud Fee: £380.00 NFFR Oct 1st. Pure Bred and Arabian Dilutes by negotiation.